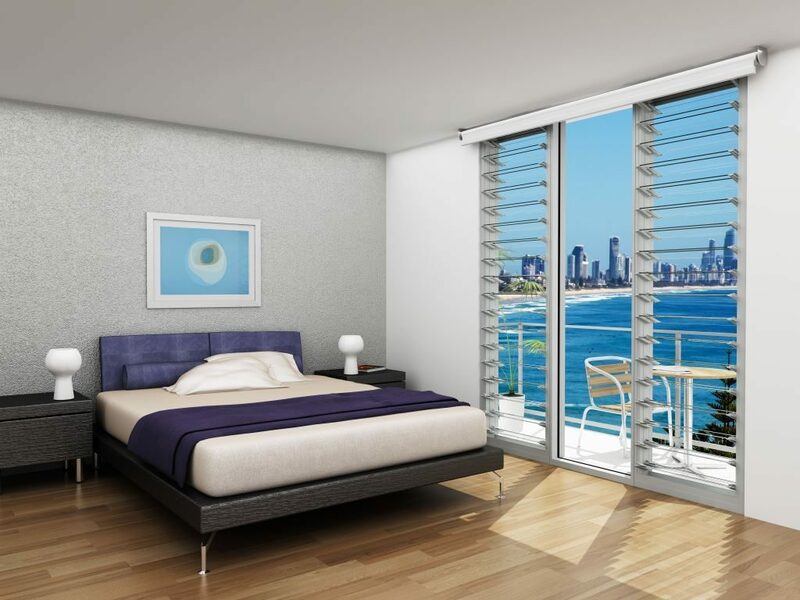 Are you looking for a window system that optimises serenity, ventilation and protection from the elements? The new Breezway™ Altair® Dualair™ Louvre Component System has been developed to deliver a high performance, sophisticated, secondary glazed louvre system to the high end residential and commercial market. 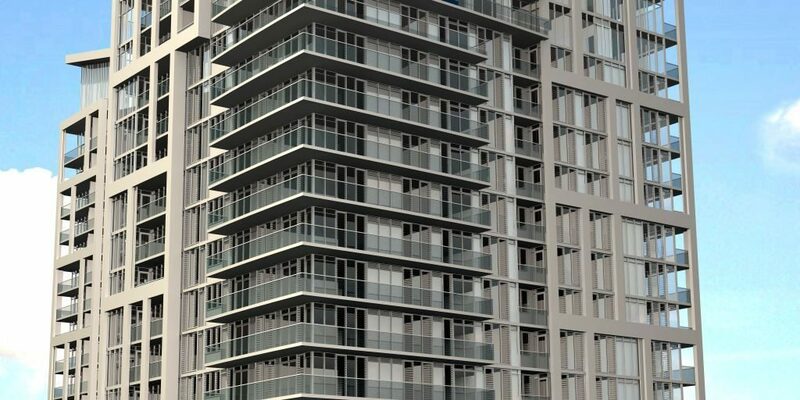 The system provides excellent ventilation to keep buildings naturally comfortable while offering the following key performance improvements. 1. Sound Insulation – Through the use of two louvre galleries inside one frame, significantly high Rw ratings of 35 can be achieved to reduce outdoor noise. 2. Water Penetration Performance – The Dualair System can achieve up to 620 pascal ratings at floor to ceiling heights. This is a 20% performance improvement at window sizes twice as wide and three times as high. 3. Thermal Insulation – U-values ranging from 2.4 to 3.3 give comparable performance to double glazed windows with thermally broken frames. 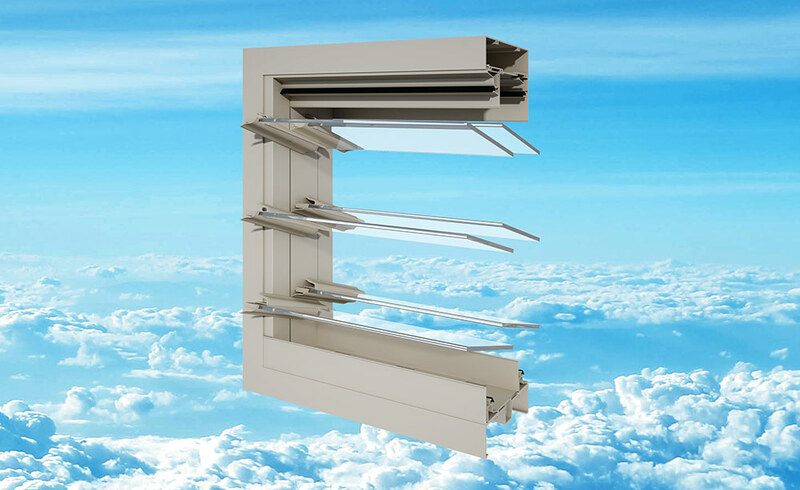 Designed for installation into the Alspec® McArthur Evo™ and the Alspec® Hunter Evo™ Acoustic 150mm Commercial Framing Systems, Breezway will be offering the Dualair System as a fully automated Powerlouvre™ System or a hybrid of automated and manual control. Superior aesthetics are achieved through the primary and secondary window being identical window types and both contained within a single frame. 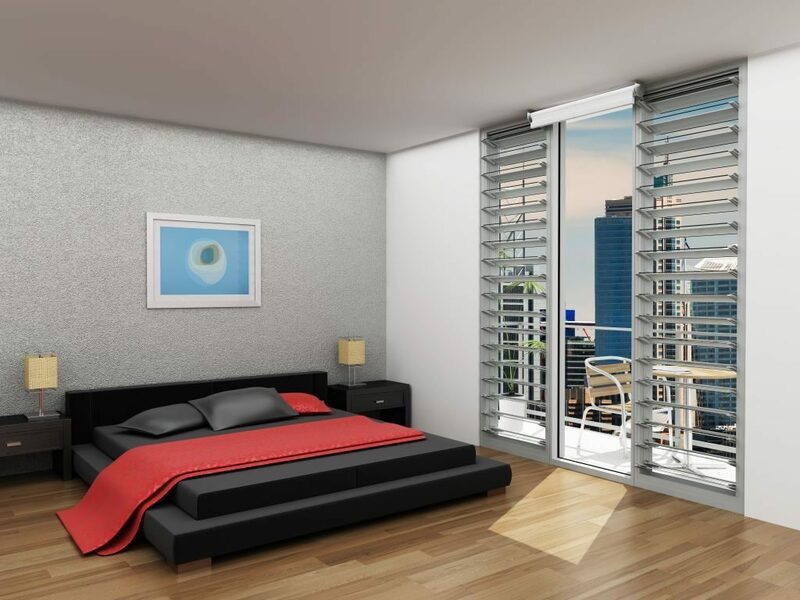 Both Altair Louvres being in a single frame also reduce installation costs. The outside louvre gallery can utilise glass blades for uninterrupted views. Alternatively aluminium blades or patterned glass can be used for adjustable external shading, privacy or decorative effects on the building facade. The Dualair System is fully compatible with the Stronghold® System to satisfy Fall Prevention requirements thus making the system ideal for high rise residential or education projects. For more information, please visit the new Dualair Component System page of the Breezway website.